Client history taking can be approached from a number of different angles depending on the orientation of the counsellor, the time constraints surrounding the counselling offered and the problem area presented by the client. A psychodynamically trained counsellor will tend to focus on early family history whereas a cognitive-behavioural counsellor will generally require detailed information about the thinking and behaviour associated with the presenting problem. A counsellor may be constrained by agency policy and/or the number of available sessions and these constraints will influence the emphasis of the type of history taken. If the client is seeking careers counselling the history the counsellor takes will be affected by the type of problem presented. 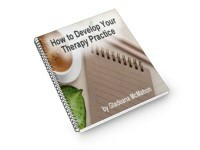 – “What information do I require to help me assess the therapeutic needs of my client”? – “Is it better to elicit the information verbally, in written form or through a mixture of the two”? This last question attempts to take into account inter-agency liaison, which is quite common in psychiatry, social and probation work. The counsellor/counselling agency needs to have a clear policy regarding appropriate procedures such as confidentiality, responsibilities, individual and agency boundaries and any codes of ethics adhered to.